OUR MISSON is to create a sustainable art center that addresses the needs of local artists and art lovers within the Elk Grove and broader South Sacramento County region; and to be relevant to and engage a diverse community audience in the fine arts. To do this we work hard to provide a sustainable Arts Center, including a beautiful gallery to display art for both artist and visitor to enjoy. We invite you to be part of our Mission. Your support is necessary for the EGFAC to continue, expand, and develop art in our community. Be a part of the future. Includes FULL art hanging and display space of original 2D and 3D artwork, prints, cards, jewelry, and your bio on our website. You will be required to staff the EGFAC two days a month during business hours, attend our monthly business meeting and participate in events and organizational jobs and duties. Includes art hanging and display space of TWO SPACES for original 2D and 3D artwork, and one of the following: prints, cards, jewelry and your bio on our website. You will be required to staff the EGFAC one day a month during business hours, attend our monthly business meeting and participate in events and organizational jobs and duties. DO NOT PAY YOUR MEMBERSHIP ON LINE. PAYMENT FOR FULL, or ASSOCIATE MEMBERSHIP WILL BE ACCEPTED AFTER YOUR ART HAS BEEN JURIED AND VOTED ON. Friends of the Arts Members support the EGFAC and it's mission with their membership. Once your membership has been processed you will be invited to an orientation where you will receive an information packet, and learn more about the perks of membership. You will also be able to sign up for events and activities you can help with, over the upcoming year. Our Friends of the Arts Membership year runs May to May. You may pay your dues online and then mail or email your application form. 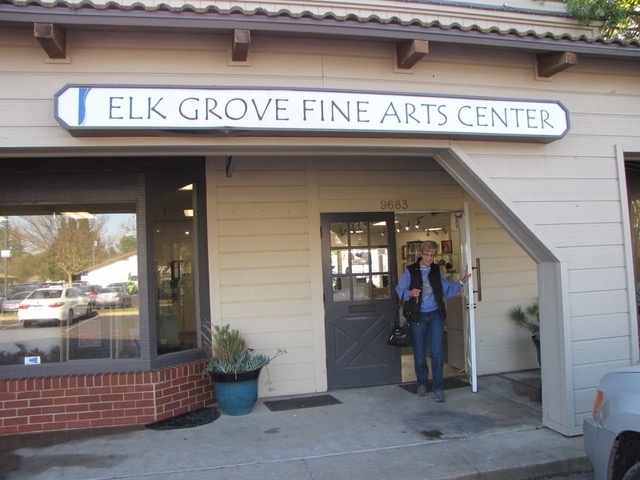 SUPPORT THE ELK GROVE FINE ARTS CENTER!! !